Use Anywhere – stay dry on your overnight camp, keep the midday sun off when you stop for lunch, keep warm and out of the wind at the beach! 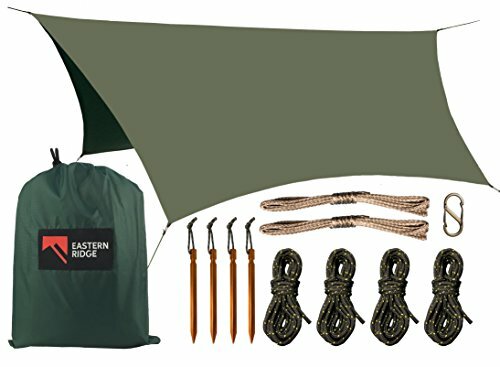 Easy and Versatile Set-up – with four Guy Lines, four lightweight Stakes and bonus two Dyneema Ridgelines included you have many rigging options and set up is fast! EVERYTHING YOU NEED FOR PROTECTION FROM THE ELEMENTS! Are you tired of worrying about the weather? 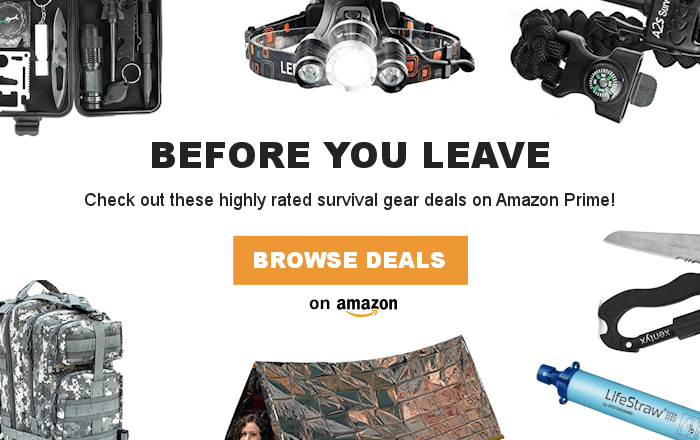 Does heavy camping gear weigh you down? Do you want protection from the rain, sun & wind? Do you want to be able to set up camp knowing that you will have a dry, comfortable night? 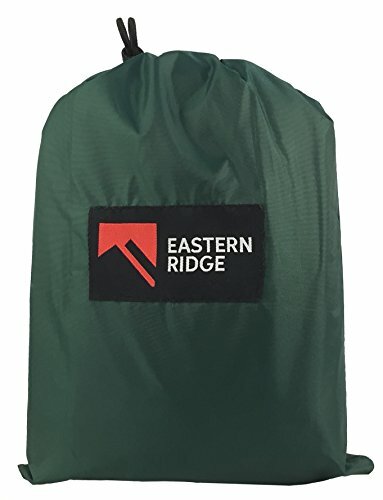 Introducing The Eastern Ridge Camping Tarp. 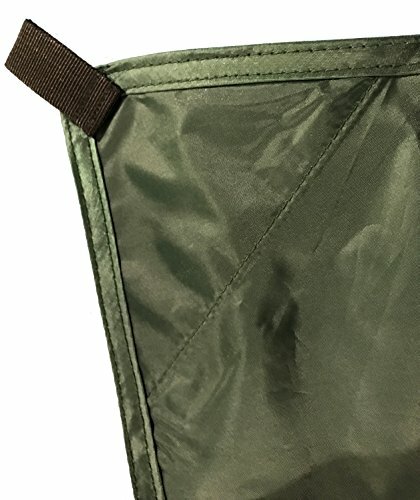 This versatile tarp is ideal for hammock camping (or ‘Hamping’!) and it also makes a great choice for camping on the ground. Everything you could need is included in this new and improved set. Four lightweight aluminum stakes secure the groundlines and zero-stretch, ultralight dyneema lines tie out the ridgeline. We even include a FREE S-Shape Carabiner to give you the means to hang your gear. Choose either the 10’2″ medium for the best value or the 11’0″ large for the most coverage. From the best nights sleep to the most relaxing afternoons we have you covered! Buy now and you will receive a FREE limited edition S-Shape Gear Clip Carabiner! We believe in our products – buy with confidence with our 1 year, no-fuss 100% Guarantee! We cannot keep this low price for long – Click Buy Now so you don’t miss out! Leave-No-Trace – protect the environment and yourself by staying out of the dirt! Backed up by our 100% no risk guarantee!